Banjong Suchantha, 51, a rice farmer in the Northeastern province of Thailand, kept smiling while talking to an external auditor at her village in Ban Wang Khok of Ubon Ratchathani. 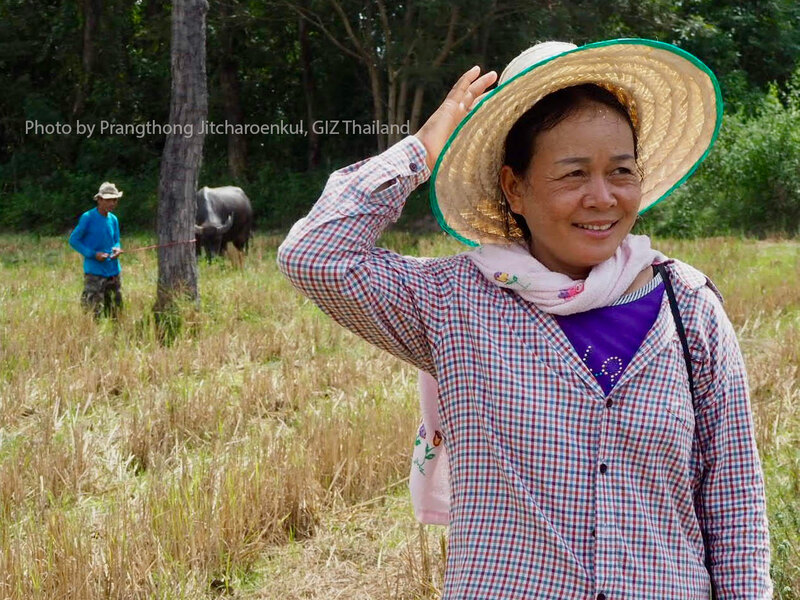 This was the first time they met and it was her first time being inspected after she attended a training on sustainable rice farming standard early this year. “It is not difficult at all to be inspected and asked by the auditor. I was asked about many things such as the number of people working per a plot and use of organic and inorganic fertilizer which I learned from the project,” she said, adding that the auditor was also concerned about education of her children and issues related to child labour and labour rights. 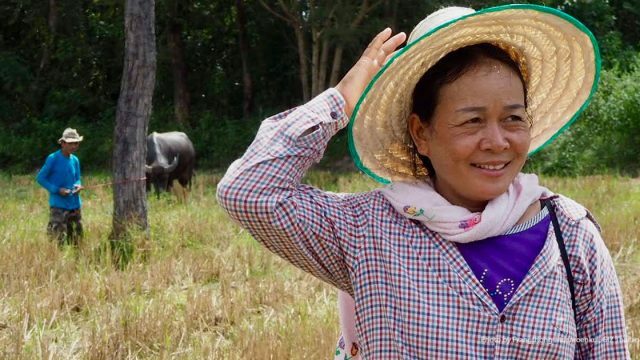 Banjong said she made the right decision to change her cultivation practice to follow Sustainable Rice Platform (SRP) introduced by a public-private partnership project called Better Rice Initiative Asia or known as BRIA. “In this crop season, I sold rice twice after joining the project and I got better price both times. I am very happy,” said Ms. Banjong, who owns 40 rai* of rice, half of which are ‘Hom Mali’ meaning jasmine fragrant in Thai. 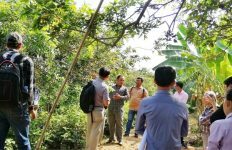 A third-party auditor from OneCert visited Hom Mali plantations in Ubon Ratchathani to talk with rice farmers under the BRIA project to see whether the growing and harvesting methods are in line with the SRP standard and cause no harm to both environment as well as the farmer’s health condition. 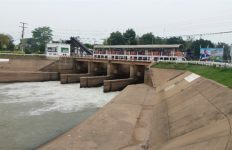 The visit took place between 14 and 21 November 2018. Furthermore, the auditor made sure certified crops are not mixed with non-SRP rice and sold to the markets. 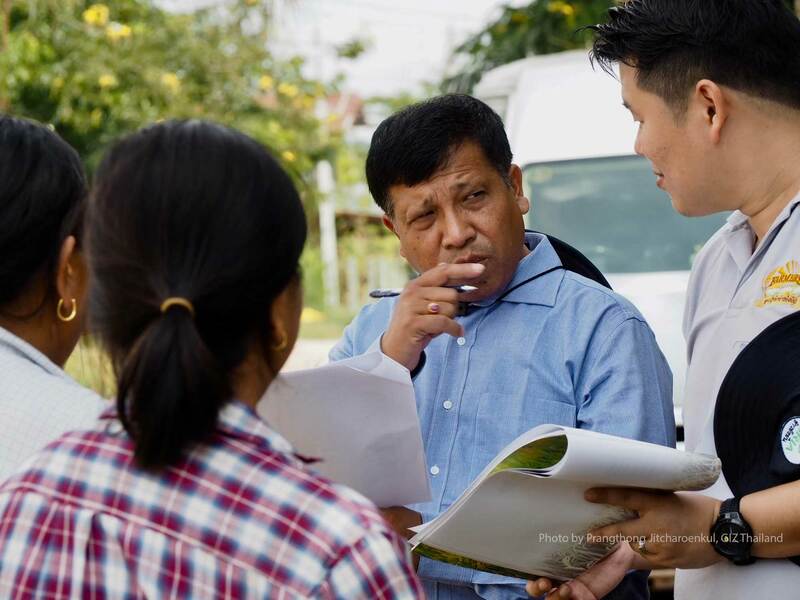 According to BRIA project manager Atthawit Watcharapongchai, the audit is beneficial when it is conducted by the third party who is impartial to the project. “The audit is an advantage of the project because it is done by someone who has no conflict of interest. The audit result boosts confidence among farmers who engage in sustainable farming and pass on knowledge to others,” said Mr. Atthawit. He also cited confidence of farmers in market linkage and transfer of appropriate rice cultivation practice as key factors in the success of the scheme, which has been extended to more farmers’ groups since the programme was introduced. BRIA has supported the training of about 3,000 farmers and their net income has increased following the training. 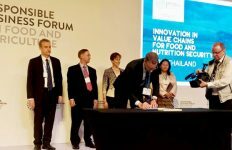 The project has entered its second phase, known as BRIA II early this year to improve market access for rice farmers in selected areas with the support of Thailand’s Rice Department, Olam International and German International Cooperation (GIZ). 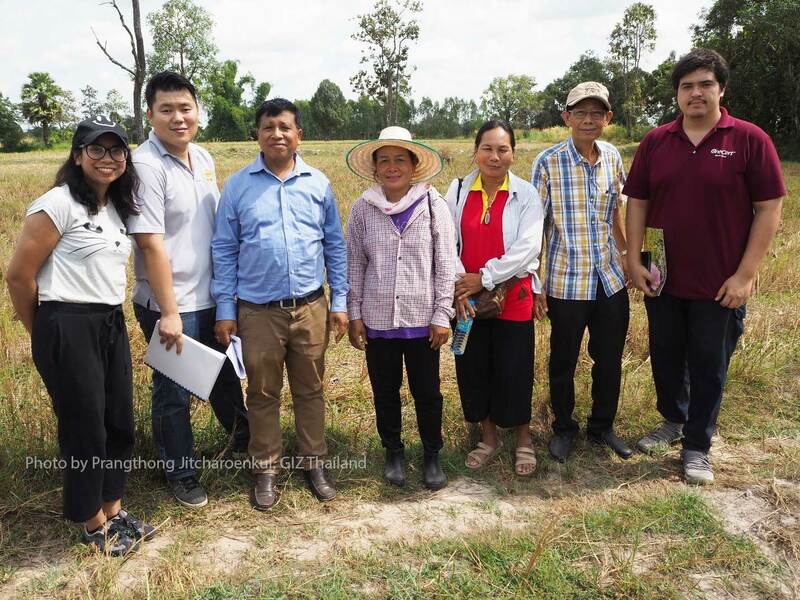 A third-party auditor from OneCert, representatives from Olam International and BRIA II project and local farmers pose for a group photo after the audit on 14 November 2018 in Ban Wang Khok, Samrong district, Ubon Ratchathani province.